How do you do people, a new week is dawning upon us and today I feel super energized after a weekend (a big surprise, as sometimes my weekends are more tiring). Another special feat is that this is my 100th post. Yay!!! Could not believe that it would be possible so early. A big thanks to all my readers and contributors who have made this happen. Love all of you!!! 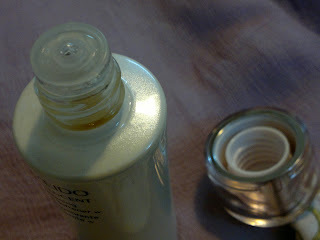 Another product review today from my February blisscovered box (shown here). 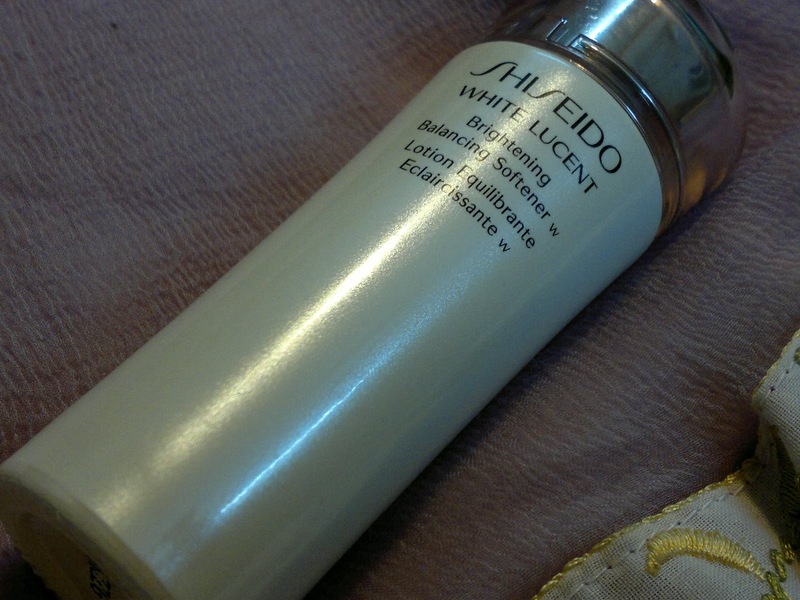 It’s Shiseido White Lucent Brightening Softener. Price: INR 2850 for 150 ml of the product, I have received 25 ml of the product. Packaging is quiet classy with a heavy twist open cap. A dispenser is provided to dispense the product onto the cotton swab. 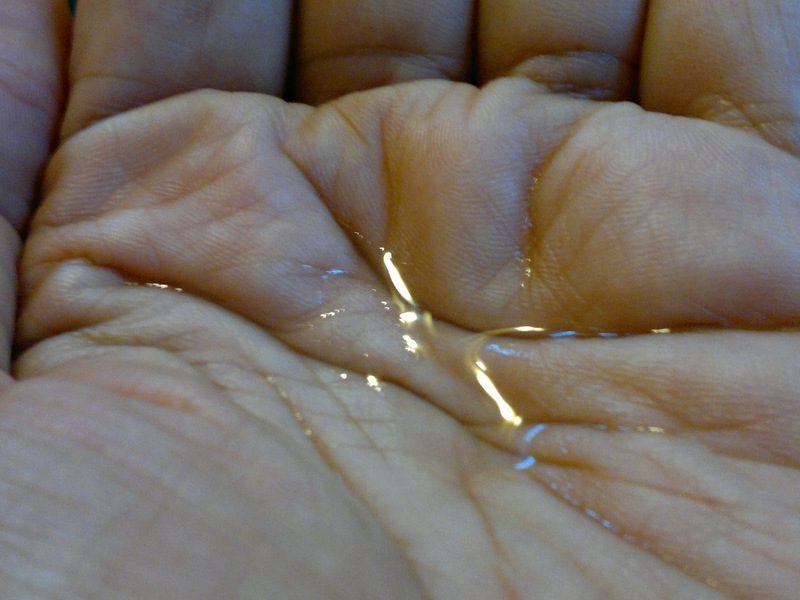 As you see from the swatch the product looks like water, in fact the texture is also like water. But performance wise, it does live upto my expectations. 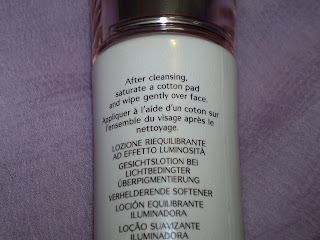 The softener does make my skin super soft and I feel that moisturizer is better absorbed into my skin when I use this. Currently, I have replaced my FabIndia Lavender Toner with this product. Though I don’t see much whitening as of now, probably it will work better with the entire range from Shiseido. Overall, I feel that it has evened out my skin tone even further (lesser darkness around the chin area). Product rating: A, available online (via blisscovered). Though expensive, would definitely recommend this to people as it does make a difference to your skin.